Target CMO Jeff Jones took the retailer's crisis response into his own hands Tuesday night, when he publicly posted an open, honest message on LinkedIn. Its bottom line: "The truth hurts, but it can also set you free." 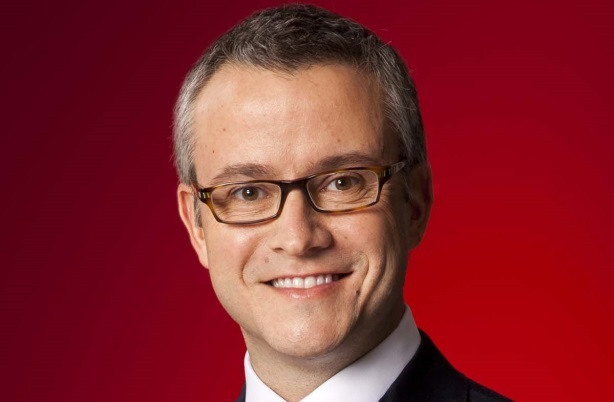 Target CMO Jeff Jones took the retailer’s crisis response into his own hands Tuesday night, when he publicly posted an open, honest message on LinkedIn. Its bottom line: "The truth hurts, but it can also set you free," in reference to the mega-hack that left tens of millions of the company’s customers exposed and Target’s reputation on the line. His bold message – which is receiving a positive reaction from the public – was a response to a letter an anonymous mid-level employee at Target's headquarters in Minneapolis sent to Gawker last week, complaining about the company’s culture. The staffer wrote, "Target HQ is in bad shape and in desperate need of help, direction, and vision, starting from the top down." Jones – who is a member of LinkedIn’s Influencer program -- posted his response on the site after sharing it with team members, referencing the data breach and Target president and CEO Gregg Steinhafel’s resignation earlier this month. He acknowledged his appreciation of team members’ honesty, calling it a "gift." "Much of what they are saying is true," he wrote. "While we would have preferred to have a conversation like this with the team member directly, speaking openly and honestly and challenging norms is exactly what we need to be doing today and every day going forward." He reminded readers that Target is not the first brand to hit a "rough patch," and brought up various crises facing companies such as Apple, Harley-Davidson, Starbucks, J.Crew, Lego, Disney, Wendy’s, and Ford that were overcome. "I’m also acutely familiar with the brands that did not recover and I am not interested in tempting this fate," he added. Jones noted that while Target’s culture is "an enormous strength," it is also the company’s current "Achilles heel." He added that the company will embrace the critiques internally and externally in the coming weeks. "Our job now is to create a new truth and that is exactly what we are doing," wrote Jones, who was not immediately available for comment. Last month, PRWeek asked communications pros to grade General Motors CEO Mary Barra's performance before Congress from A to F. But a point that kept coming up repeatedly was the importance of Barra appearing "genuine" or "sincere." Granted, GM’s recall crisis is completely different than Target’s reputation being affected after its holiday-season data breach. But, based on the public’s response to Jones’ LinkedIn essay, as evidenced by comments on social media and from the press, his honest and open letter is being met favorably. Similarly, author and journalist Suzy Welch told attendees of PRWeek's Influencer Summit in December that authenticity is vital to communications efforts, whether joining a conversation or taking a company or its executives out of the spotlight. "Likeability really matters; the more real you are, the more your message is going to be heard and listened to," Welch said. When asked if the post was Jones’ own decision, or if it was supported by the company as a whole, Target group manager of PR Molly Snyder said, "As he indicated, he did share it with the team first and the team has responded with great enthusiasm." Snyder added that, as a company, Target is committed to moving forward, transforming, innovating, and working differently as a team. She declined to comment further, stating that Jones’ post speaks for itself. Bold move by the CMO of brand in turmoil. And I know a thing or two about brand turmoil: "@jjones: The Truth Hurts https://t.co/gcMetjOYHJ"
Poll: Is Bonobos' campaign to #EvolveTheDefinition of 'masculine' necessary?